2019). Few organisms within this group also occur in fresh water and moist terrestrial surroundings. al., 2001). There are about 3,500 species of oligochaetes. They live in freshwater, salt water and in soil. Annelida, n.d.; Rouse et al., 2001). when in its contracted state and usually has a fluid filled cavity between the outer body wall and the gut. 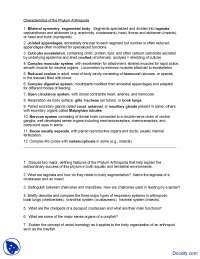 present as four distinct bands and the brain is also another part that varies in terms of its structure. 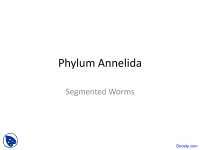 • There are various characteristics that differentiate Annelida from all otherphylum. • Most of them can be found in marine, streams, freshwater pools and terrestrialhabitats. 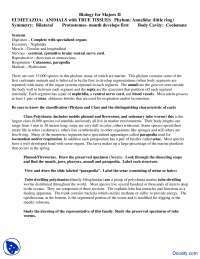 • Most of them have forms that have setae, hard, chitinous structures. 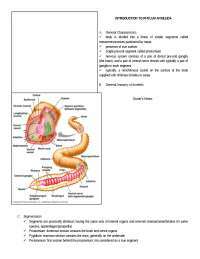 • Their digestive system is complete and they also have a closed circulatorysystem. • Their excretory system typically consists of a pair of nephridia for each segment. • Sexes are separate and they are free-swimming trochophore larva. • Two suckers are found within the leech’s mouth both anterior and posterior. depending on the species or class. Members of Annelida could possibly reproduce sexually or asexually. either by budding or fission. copy of its DNA, cloning itself into a new individual. Another form of asexual reproduction is budding. An annelid undergoing asexual reproduction by budding. spermatophore, through the skin of the other leech traveling to the ovaries to fertilizes the eggs. ‘mother’ worms. The new worms will later develop and growth greatly to an adult. 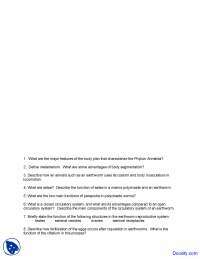 mammals ranging from shrews to badgers. bacteria and small animals alongside their burrows. their victims, some transmit flagellates that can be very dangerous to their hosts. and feed aquarium fish, frogs and birds. anticoagulant, to prevent the formation of blood clots within the blood streams of human. 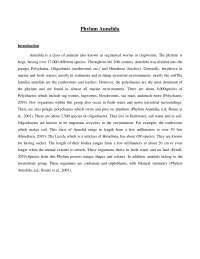 (Phylum Annelida: An Overview of Biodiversity, n.d.). Nguyen, A. (2018). [Photograph of Earthworm]. Leonard, W. (2005). [Photograph of Oligochaeta]. Watanabe, J. (2004). [Photograph of Polychaeta]. University of Edinburgh. (2007). 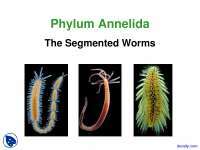 Phylum Annelida. Retrieved from: http://www.nhc.ed.ac.uk/index.php?